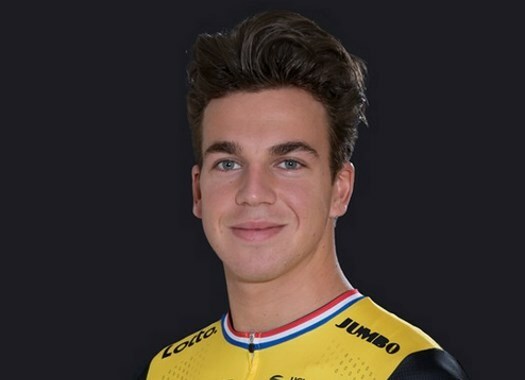 Dylan Groenewegen (LottoNL-Jumbo) has targetted stage wins and the Yellow Jersey for the 2019 edition of the Tour de France. The Dutchman wasn't at the route presentation but has studied the course and thinks he can perform well in his field at the race. "There are seven flat stages, so that means that I have seven sprint chances," he said to Dutch broadcaster NOS after the presentation. "That's enough for me. Winning seven times would be great, but of course, it is not that easy. Let's start with one." The first stage of the Grande Boucle will be over a flat course in and around Brussels, Belgium, and the rider wants to get a victory from the start. "Yes, because if you win there, you get the yellow jersey," Groenewegen explained. "It is a great honour to wear the Yellow Jersey, so that will be a very big goal." The three-time stage winner at the Tour de France is not particularly concerned about taking also the Green jersey of the points classification of the race. "As I look at it now, I will just go for stage victories," he said. "The green jersey might come in the future."